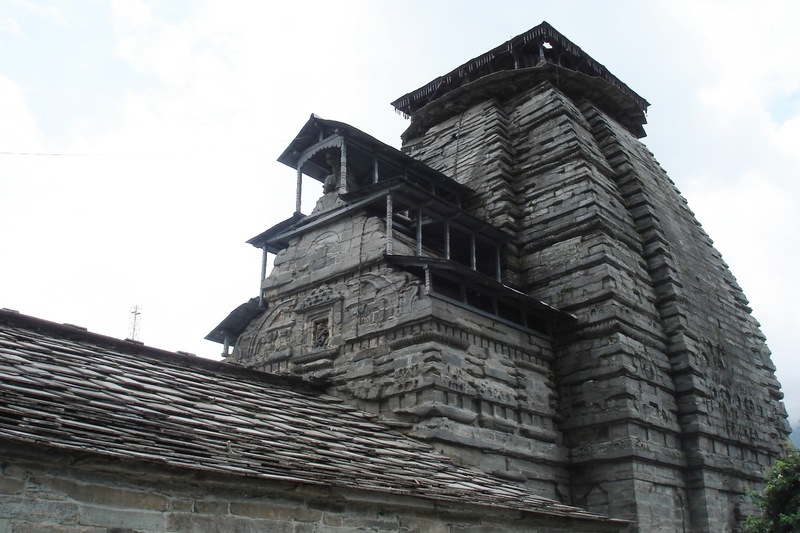 This is the front view of Rudranath (Gopinath) Temple which is located at Gopeshwar, Chamoli District, Uttarakhand, India. Once at Gopeshwar (the capital of Chamoli District) market just drive or walk for a few meters and you'll find this temple. 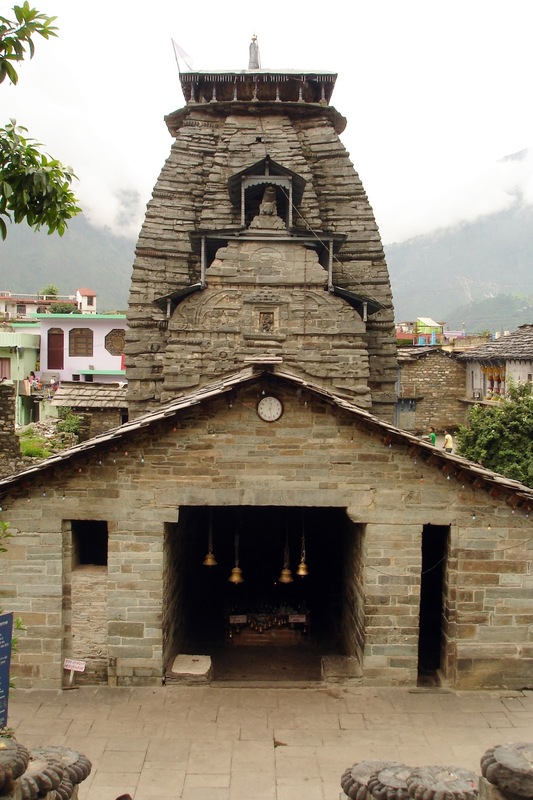 This temple is famous around here so everyone can give you the direction quite properly. This portion, I believe, is the original structure of the temple which is made of sturdy plate of rocks while the front structure is newly added. The temple was closed when we visited so we couldn't go inside (although we don't usually go inside). It just took us 5 minutes to look around the temple area and did some picture taking. It wasn't busy at that time. What I observed though is that the side areas are used by public as an entrance and exit points. 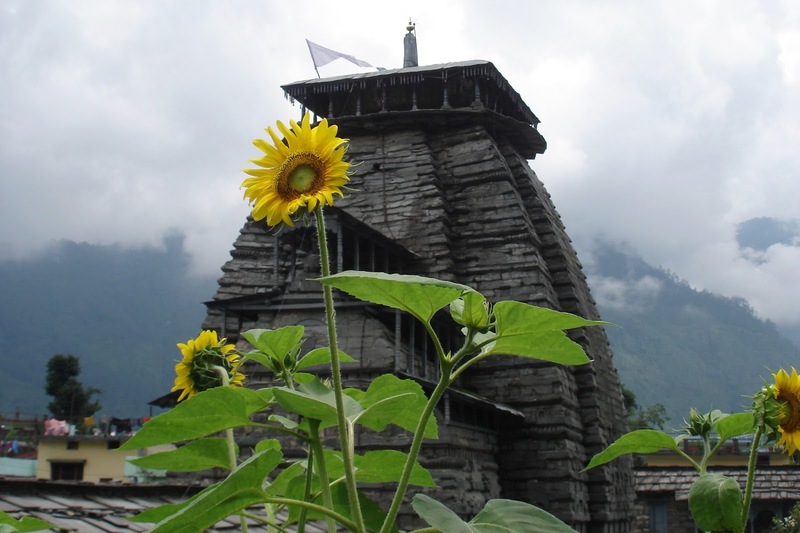 I kinda like the sunflower effect as forefront of the temple so I decided to include this photo here. The background are misty mountain ranges of Chamoli. The weather was pleasant although it was almost 1 o'clcok in the afternoon.